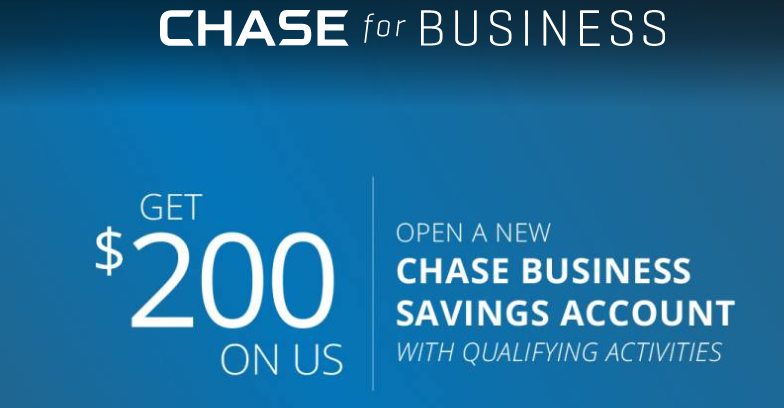 Available for business owners nationwide, Chase Bank is currently offering a $200 bonus when you sign up and open a new Chase Business Savings account by April 30, 2018. If you are interested in this offer, all you would have to do is request a coupon and head over to your local branch. To get started, all you have to do is deposit a total of $15,000 or more in new money within 10 business days of account opening and maintain that balance for 90 days. Once you have done so, you will receive this bonus as well as access to various account features! So if you are interested in the offer then I recommend that you hurry in today and be a part of one of the nation’s largest financial institution! Early Termination Fee: If the checking account is closed by the client or Chase within six months after opening, Chase will deduct the bonus amount for that account at closing. Savings offer is not available to existing Chase Business Savings customers, those with fiduciary accounts, or those whose accounts have been closed within 90 days or closed with a negative balance. Interest rates are variable and subject to change. Additionally, fees may reduce earnings on the account. You can only receive one new savings account related bonus per calendar year and only one bonus per account. In conclusion, this current promotion from Chase Bank is a great option for those who would like to start a new banking experience. You won’t just be receiving a hefty bonus that comes with your new business account, but you’ll also be able to enjoy the great features that Chase has to offer. Therefore, if you are interested and qualify, than I would sign up! The requirements aren’t very tedious and there is no direct deposit required. Also, feel free to comment below on this Chase Bank Review and let us know how it went for you!